It’s almost a week since we came back from our trip to Italy and was really busy to post as a lot of things had to be done after we returned. We had a great time and I wanted to share some of the shots from Rome. This was not an easy job having to choose from about 1.000 photos. One of the extremely enjoyable benefits of blogging is getting to meet other bloggers whose work I respect. We met Natalia, of Gatti, fili e Farina and her husband Andrea and had a great time together. Natalia showed us around in the Vatican on one day and another day she showed us around from Piazza di Venezia towards the Ghetto (Jewish neighbourhood), Galeria Spada, Piazza di Fiori, where she helped me choose some cheeses (buffalo mozarella, caccio, gorgonzola picante and another one with peppers, I am not sure about the name. We ended in a pub serving forty different kinds of draught beer and some delicious appetizers. You probably all know that Rome is the city of architecture with so many beautiful buildings, fountains, piazzas etc. We visited most of the important monuments but there is still more to see, so we will have an excuse for another trip in the future. The Italian people were fantastic and all the people we asked for instructions were more than willing to give explanations and very polite. I have seen a lot of similarities between Greeks and Italians and it is no wonder that Italians and Greeks have a saying “Una Faccia Una Razza”, in Greek we pronounce it “Una fatsa una razza” and literally, it means “one face one race” and refers to similarities to our culture, history and manners. What can I say about the food and wine. Everything was delicious, especially the pasta dishes and I enjoyed a glass of chianti with every meal. I could not resist trying the gelato with so many flavour to choose from and some tiramisu!! When we returned I made Pastitsio, but this time made a twist to the traditional Greek recipe, using ground chicken and a sauce similar to Bolognaise sauce and of course used some of that caccio cheese, by sprinkling some on the pasta before adding the meat, some in the bechamel and of course some on top. It was delicious. Boil (al dente) and drain pasta and mix with some of the cheese. In a large skillet heat the oil and sauté the onion, celery and garlic until soft and transparent. Add the minced meat and sauté until white. Add the wine and mix until the alcohol evaporates and then add the tomato sauce and tomato paste and stir until smooth. Simmer for about 45 minutes, until sauce is thick. Remove the bay leaf. Put half the pasta in a baking tin (about 33 x 40 cm.) and mix in 3 tablespoons of bechamel sauce. Spread the sauce on pasta, add the remaining pasta on top and cover with the bechamel sauce and the remaining caccio. See step by step recipe how to make the bechamel here. Bake in a preheated oven at 180 degrees C until golden brown on top. I have always enjoyed my time in Roma! Such a wonderful city with beautiful architecture and even better food. I love your twist on the traditional pastitsio recipe Ivy. A great trip! Thanks for sharing those pictures with us! It must have been lovely to meet Natalia! I love Pastitsio! Yours looks wonderful! Ivy, this pastitsio looks different and very cool! I bet you had some great time in Roma. You have made me want to travel, travel and travel. Ivy, the pastitsio looks different and very cool! I bet you had some great time in Roma. Your posts have made me want to travel, travel and travel!! Υou know, Ivy, the pasticcio di maccheroni is the traditional first course of many Italian's weddings and holiday dinners and marks the last Sunday of Carnival. Thanks Marianna for this information. Did not know about this. The post reminds me of the summer time we had there this August. And looks like youtoo had a fabulous time. 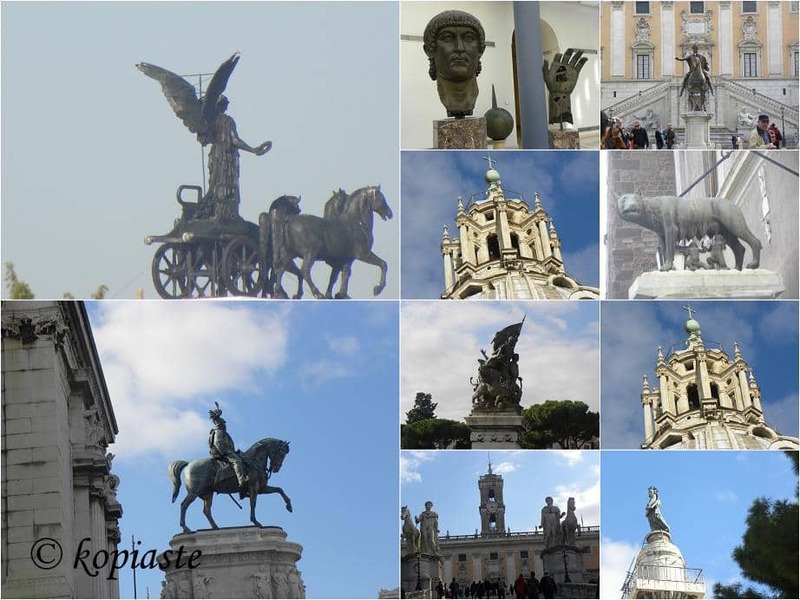 Thanks so much for sharing your photos of Rome. It's been ages since I've visited and the photos really took me back. Thanks also for a great pasticcio recipe. I do hope you plan on sharing some of your pasta dishes with Presto Pasta Night again. Oh why oh why did you have to mention Tiramisu??? I love it! It looks like you had an absolutely lovely time in Rome. I'm just a teeny bit jealous. Welcome back Ivy, I too have a wonderful time in Rome (98). It's always good to make new friends and hopefully they will try their hand at Pastitsio too! I haven't been in Rome yet and really enjoyed a virtual tour through your pictures! The Pastitsio Italian style sounds really wonderful! Looks like you really had a great time in Italy! And that pasta dish was a great way to honor that vacation 🙂 lovely photos!! Beautiful photos and must have been an incredible trip! The food looks amazing. Your pastitsio looks delicious too! Thank you for sharing this with us, I don't know Roma, but it's a dream for me to go there ! I have so many fond memories of Rome as we went there on our honeymoon. I sure want to visit again. That pastitsio dish sounds amazing. Your photos are so beautiful. Your pictures are gorgeous Ivy! I hope to visit Rome one day. How fun to meet your friend. It looks like you had a nice time with her. I love your Pastisio! What a delicious version! Ivy mon amie, grâce à toi , je fais un magnifique voyage avec des recettes en plus. Ivy, it looks like you had such a lovely trip! We are going to Italy in February, but sadly, we won't visit Roma – we'll be in Venice and Florence or Milano. That gorgeous pastitsio! What a wonderful twist. I'm going to have to try to make that for certain! Pity you cannot spare a few days for Rome. It's so much worth visiting. Yvi, your pictures and comments make me want to go to Rome right away! My husband loves Italy as well, especially the food part! We were looking for a short trip to get over a difficlut time where my son had a car accident and my back kept me on the couch for a whole week…. Hope you are feeling better now Robin and you'll make this trip soon. wow,ivy,thanks for sharing your wonderful trip and those awesome photos!pastitsio is delicious,of course! Looks like you had a smashing time – love all of your pics. And great fun to meet Natalia. I like the look of your pastitsio – delicious. Glad you had a great time in Rome. Cara Ivy, So nice to see the pictures you took ! In the last days I'm working a lot and didn't visit anyone on the net !! The cheese is simply a cow cheese with red pepper (formaggio al peperoncino) did you and your family enjoy all the cheeses ? What happened with the ravioli maker ?Your ravioli looked great. Say ciao to Dimitri and please if you can come back soon !! Grazie cara Natalia. Yum, the cheese were fantastic but pity I did not get more. Loved all of them and you will be seeing where I used them soon. I'll have to try the ravioli maker again soon, as I think I know what went wrong. Dimitris sends his regards. Shall be waiting for you, Andrea and the children to come to Greece. Baci. What beautiful pcitures. I would love to go there. How nice you met Natalia. Thats a lot of fun! Well, it looks like you had a fantastic time. I love you photos! So much to look at! I can't wait to go to Rome. Hi Ivy, love all those pictures and food! That’s why each time, I returned to Rome, I covered 1 area at a time. There’s so much interesting things to talk/blog about Rome at every turn of corner. 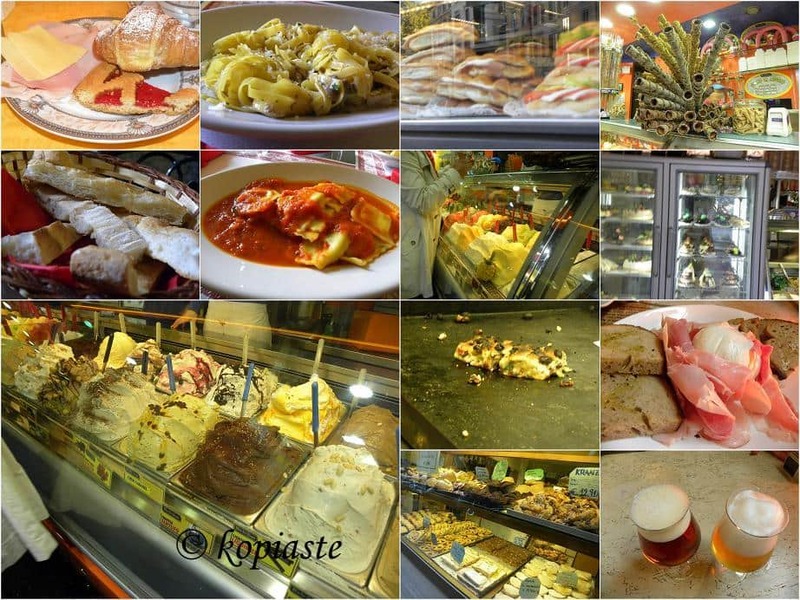 There’re of course, the tourist trap areas but you’re lucky to meet your Italian Foodie friend. I have to try out the recipes 🙂 Thank you for sharing! Hugs! Amazing post. Beautiful pictures, and the food.. hmmm looks yummy and delicious. We Romans need more people like you, who will not only travel, but also describe their experience in this wonderful city rich in history and traditions. And you are absolutely right Italians and Greeks have lots in common, mostly because the Romans always wanted to be like the Greeks. The food here is delicious just like the Greek food and fusion cuisine is becoming more and more popular, so mixing Greek and Italian cuisines is mixing the best of two worlds. Thank you Dmitri. Your site is also wonderful.